Part one of the Trade Creditor’s Corner series. Toy’s “R” Us. The Limited. HHGregg. Radio Shack. In 2017, the pace of chapter 11 retail filings picked up significantly. So did store closings by Sears and Kmart, J.C. Penney’s, and Payless Shoes, to name a few. The uptick in activity reflects increased competition between “bricks and clicks” retailers and changes in how and where customers shop. 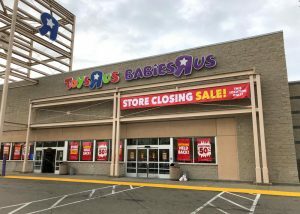 With the anticipated rise in interest rates, bankruptcy filings and store closings are expected to continue in 2018, according to Moody’s and Fitch Ratings. Bankruptcy laws and rules generally apply to and protect only the entity/person in bankruptcy. Who is liable on the debt? Is the debtor current or in arrears? When was the last time the goods or services were supplied? Are you under contract to continue to supply goods or services? Decide who will retrieve and review court pleadings, relevant documents, and calendar deadlines. Access the PACER (Public Access to Court Electronic Records) system to view and obtain copies from the court docket. In large cases, dockets and documents may be available through a link set up by the debtor’s claims and notice agent at NO cost to you. Decide who will attend hearings and, if needed, file and pursue objections for you. An automatic statutory stay goes into effect on the filing of the case and halts all actions by creditors to collect prepetition debt from the debtor or against its property, with limited exceptions. Stop all collection activity for prepetition debt and advise your employees and agents to do so. Put a “hold” on pending litigation, administrative, or other proceedings against the debtor. Separate prepetition debt and invoices from post-petition debt and invoices and only apply post-petition payments against post-petition invoices. Seek court permission to terminate or modify a contract post-petition or to exercise a contractual or state law right of set off (I.e. to apply a security deposit against a delinquent lease payment). Avoid monetary sanctions that may be imposed against you by the court if you knowingly violate the bankruptcy stay. Perfect mechanics’ liens within the periods required under nonbankruptcy law. Decide whether to stop goods in transit not yet in the debtor’s possession, unless the debtor is paying cash for delivery and then make sure the Debtor has the authority to make the payment. Determine the value of goods the debtor received within 20 days of case commencement you sold to the debtor in the ordinary course of business as this claim may be a priority claim in the case. Investigate if you could be a “critical vendor” entitled to be paid for unpaid prepetition services or goods early, because you are critical to the reorganization effort. Once you take these basic “get smart” steps, you should be primed to navigate the bankruptcy world of 2018. Our next segment will explore tips for the smart “landlord” to maximize recovery and minimize loss when its tenant files. With extensive experience at the national and regional levels, Joyce Kuhns brings her in-depth knowledge in delivering creative solutions to help transform financial challenges to successful outcomes. 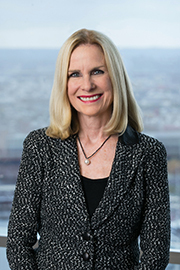 Whether representing debtors, creditors, creditors committees or equity committees, trustees or regulators, Joyce’s understanding of the complexities of financial and business structures and her skill with in court and out-of-court resolutions enables her to provide critical strategic advice from the boardroom to the courtroom and to a broad spectrum of clients including buyers and sellers of distressed assets and debts as well as directors and officers of companies in crisis. A pragmatic problem-solver, Joyce uses her cross-disciplinary legal skills to meet the daily business needs of her clients and to help reshape their future. Joyce is frequently invited to lecture before national and international trade groups on restructuring issues and has published in regional and national publications on these issues. She has testified before Congress on key legislation in the restructuring industry.